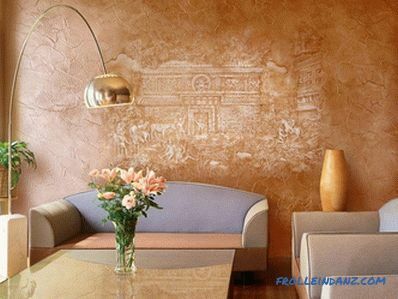 Decorative plaster in the interior of various rooms is used at the final stage of finishing works. 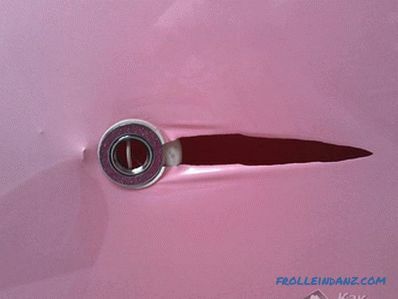 It transforms the look of the interior, making it more spectacular and richer. It is used in combination with wallpaper, tile, wood panels or as a self-sufficient finishing element. 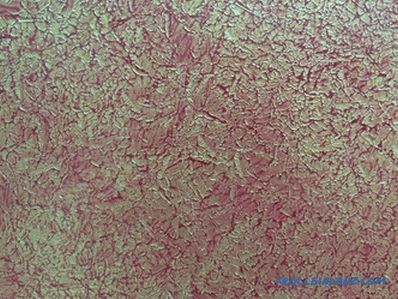 Decorative plaster is a universal coating with the help of which they create decor of any complexity, texture, color and volume. 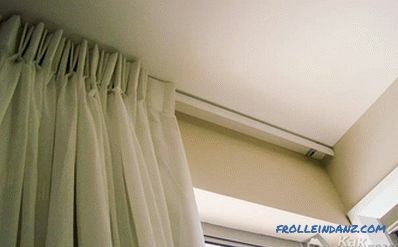 The uniqueness of this material is that it is convenient to use it for finishing the room in any interior style. 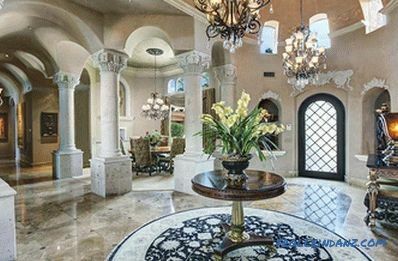 For example, classical or antique style with columns and ceiling stucco can be supplemented with plaster in the form of ancient stonework, pompous rococo - rich Venetian plaster, modern fusion - large waves or floral pattern. 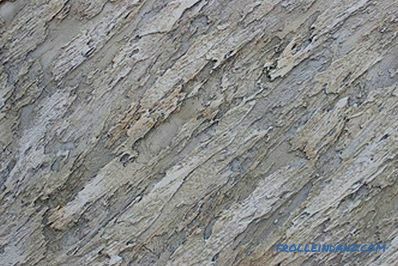 Textured surface finish was available as early as the Middle Ages and the Renaissance. 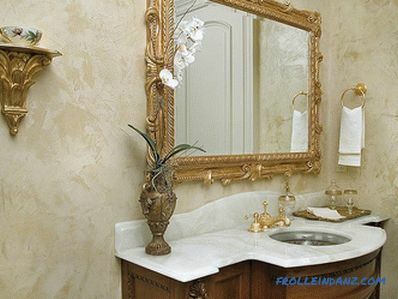 Decorative plaster in the interior replaced the finish with expensive stone or marble. It is much easier to work with marble chips than with heavy monoliths. At the same time, the cost of the crumb is several times cheaper. 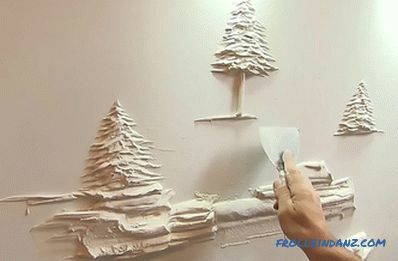 The secret was in a special way of applying it to the wall. The composition of many masters kept secret, using a similar decor of the premises in the homes of nobility. Today, a method of decorating marble, stone or wood is also popular, but more accessible. 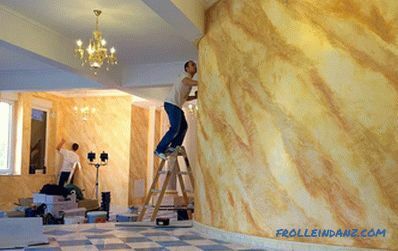 Using decorative putty, masters decorate banquet halls of restaurants, halls of department stores and hotels or residential premises. 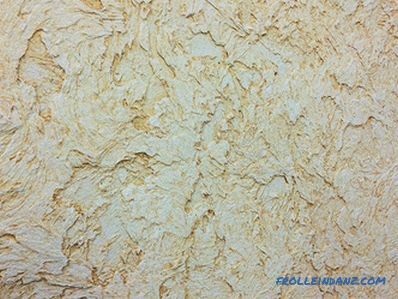 Note: decorative plaster is produced not only in white, but also in various other colors and shades, in the form of dry mix or ready solution. It may contain various fillers: marble chips, natural fibers, mineral dust, antiseptic additives and preservatives. 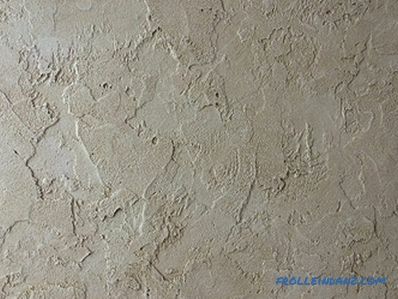 Depending on the fillers, decorative plaster looks different on the surface. protective coating or special components of the mixture allow the plaster to retain its original appearance for a long time without losing paint, texture or abrasion. The advantage of such a coating is also high artistic aesthetics, which is difficult to achieve with the help of other materials. In other words, the wealth and luxury of Venetian or silk plaster is difficult to convey with the help of other finishing materials. During the purchase, finishing and operation of the material, despite all sorts of advantages, you can also encounter tangible disadvantages. For example, the cost of some types of plaster is quite high, as well as work on its application. Some types of plaster require complex surface preparation, others have insufficient strength for the exterior decoration and are only suitable for interior ceilings. if the apartment is in a new building, then cracks may appear on the walls due to the process of soil shrinkage under the house. 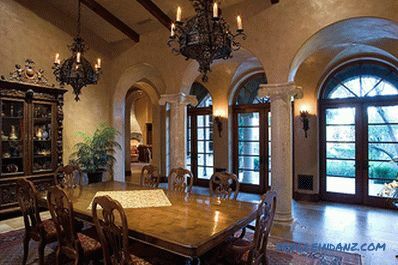 Today, manufacturers produce many different types of decorative plaster. They differ not only in appearance, but also in composition. Mineral form , based on dry cement, produced in powder form.It is used to cover stone and brick planes. The composition withstands moisture and temperature changes. It can be recommended for application in the bathroom. Silicone look is available as a mix ready to apply. 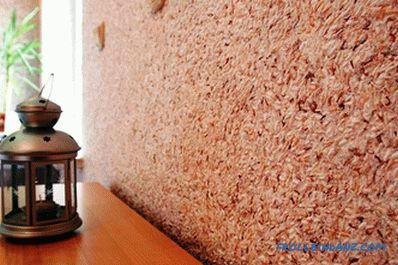 It fits well on an unprepared surface - wallpaper, brick, old wall surface. After drying, the plaster does not let water through, therefore it is suitable for bathroom decor, as well as a kitchen or corridor. Acrylic look is produced in a liquid state, which allows applying the composition to any surface. 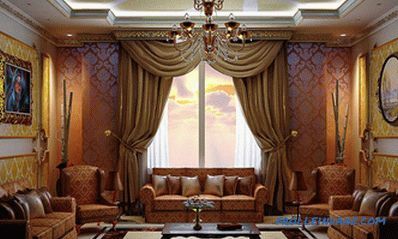 Due to its high decorative properties and covering ability, it is recommended for living room decoration. 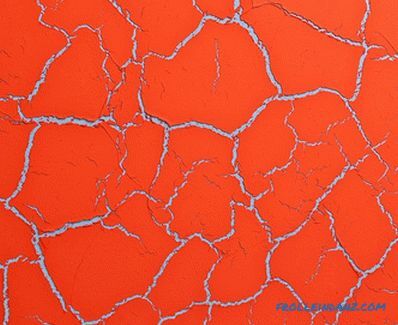 Acrylic plaster is available in various colors. The polymeric look is very similar to acrylic, as it is made on the basis of acrylic resins. Silicate form is produced as a mixture ready for application, based on liquid glass. 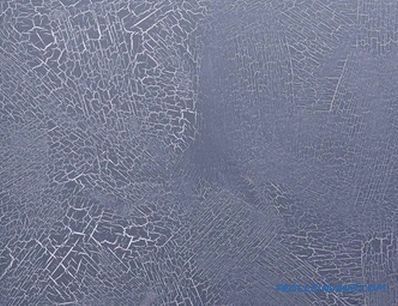 The composition well covers any surface, is the basis of structural plasters. To create a structural surface resembling a stone, a sea wave, a tree or, on the contrary, smooth silk, craftsmen use different types of plaster in appearance, fillers and properties. # 1. 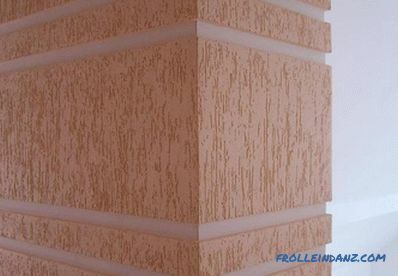 Structural plaster is able to imitate various drawings and textures that the master inflicts with the help of various tools (dies, rollers, spatulas). Appearance, which will acquire the surface after applying the plaster, depends entirely on the skill of the plaster, the number of layers of material and the thickness of the layer. The most common and popular type of structural plaster is Bark Beetle. Available in white or gray, if necessary, mixed with pigment to obtain the desired shade. # 3. 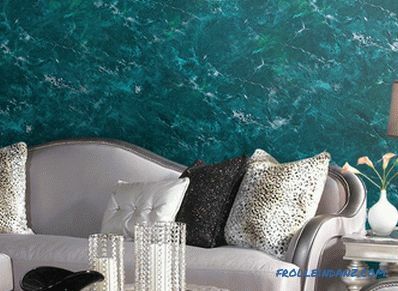 The flock or silk appearance of the plaster contains silk in the composition of the fiber; after application, it acquires an exquisite appearance resembling a luxurious appearance of silk fabric. 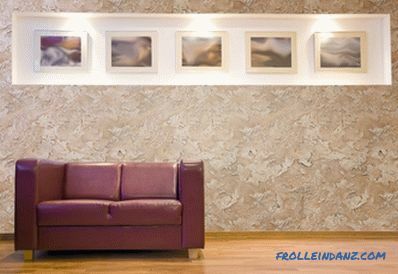 Flock plaster, due to its beautiful decorative appearance, is most often used to decorate a bedroom or living room. 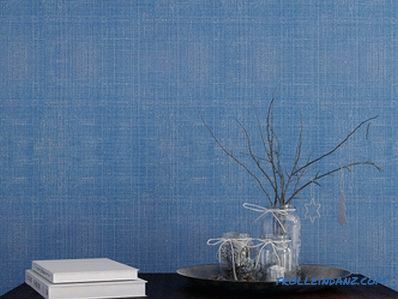 It feels like ordinary wallpaper to touch; it is an eco-friendly and natural material that breathes and passes moisture. Due to the high transmittance on the flock coating, the mold and fungus does not appear even with high humidity. 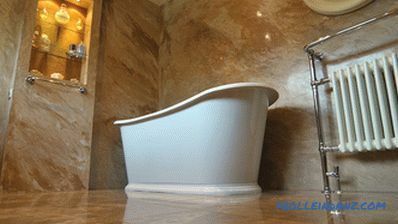 Therefore, it is recommended for application in the bathroom, nursery, dining room and other residential areas. # 4. The marble view is distinguished by its constituent fine or coarse fractions of natural marble. 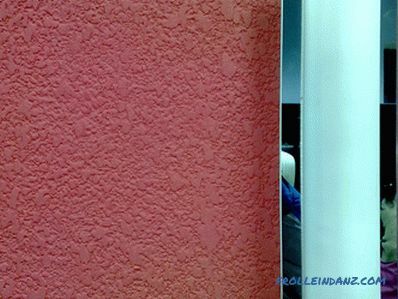 The mixture has a different appearance due to the size of fractions, color, creates a beautiful coating on the wall. 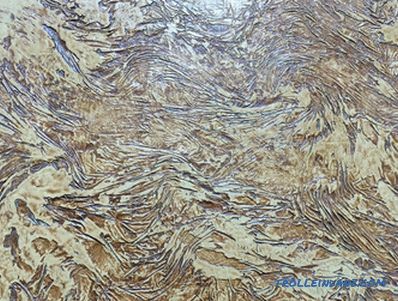 Decorative plaster in marbled interior gives an expensive look to the wall, it serves for a long time and does not lose its qualities during operation. 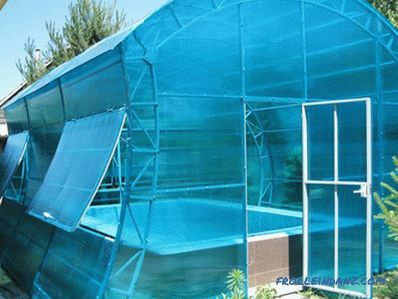 It withstands changes in humidity and temperature. Used in various living rooms and in the interior of public spaces. # 5. 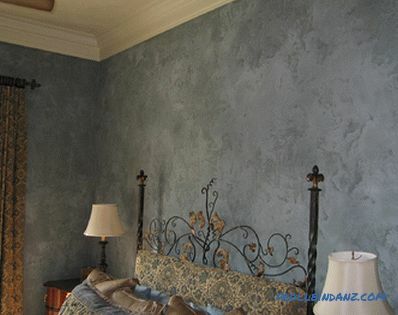 The Venetian view is one of the most spectacular and expensive types of decorative plaster. It creates an attractive, luxurious appearance of the plane that it covers. Used to cover both walls and ceilings. 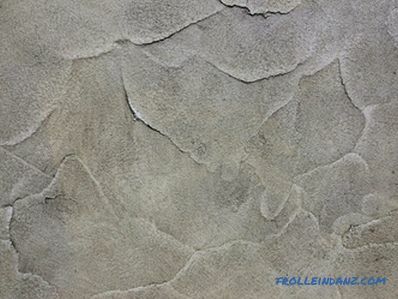 Over time, Venetian plaster does not lose its decorative qualities, it becomes only more beautiful. This quality is inherent only in this species, which distinguishes it from others. The Venetian look can be colored in any color, due to which the interior design takes on a more artistic and sophisticated look. 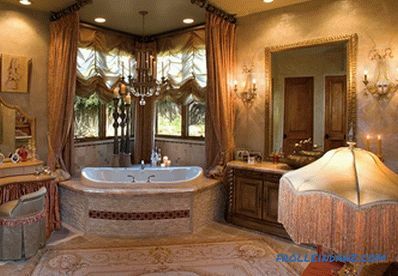 It is practically impossible to apply Venetian plaster on the surface by yourself, it is only possible for an experienced craftsman with good skills. # 6. 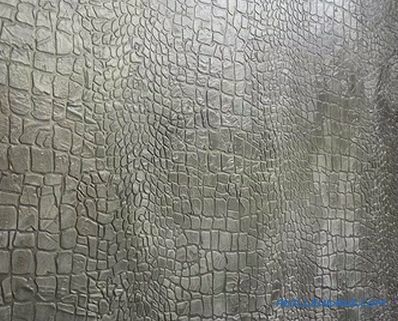 "Africa" ​​is a famous species with crocodile or snake skin texture. 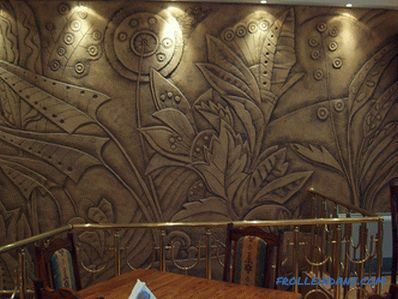 Often this type of decorative plaster in the interior is used to emphasize the ethnic color of the design. The coating looks expensive, the appearance of the master complements and modifies with the help of various finishing coatings - wax, glitter, paint. # 7. Another popular type is “Marseille Wax”. 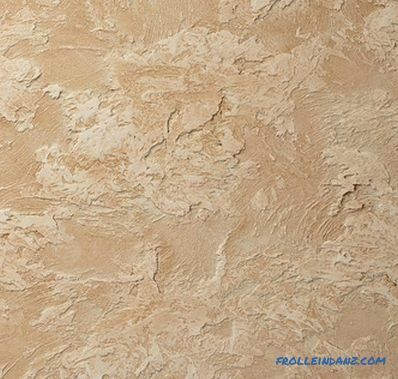 It gives the surface the appearance of a stone antique masonry of savage or sandstone. 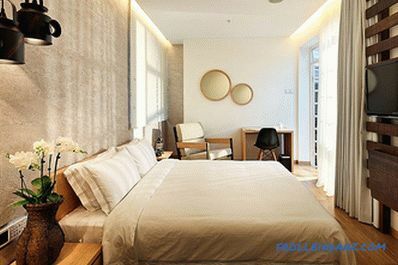 Typically, the interior use this type of putty light sand color. 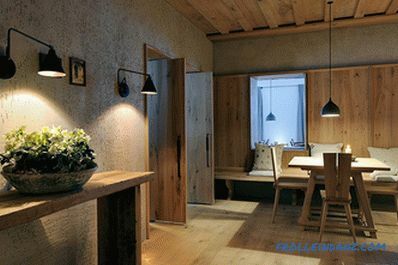 It gives the interior a cozy warm atmosphere. # 8. Plaster imitating fabric texture. 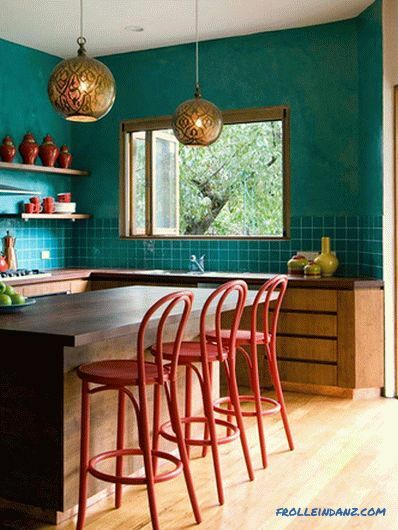 Such coatings have an unobtrusive pattern and look very rich in the interior. # 9. 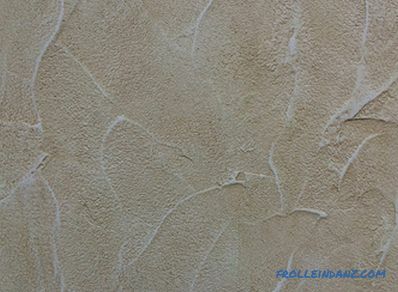 Different types of plaster like "Rough stone" and "Ragged stone". # 10. Rustic type plasters allow you to create effects of a rubbed stone. Used in the design of the interior in the historical style or country style. # 11. 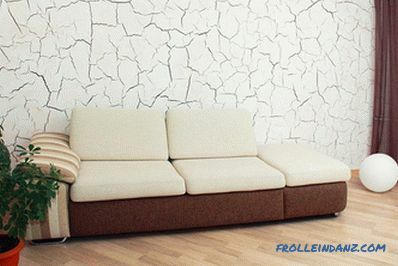 A series of decorative plasters with the effect of a “cracked wall”. climatic conditions — you can choose any type you like in the living room or bedroom, but for rooms with unstable indicators you need to choose the composition more carefully; Usually, a silicate look is chosen for the bathroom or kitchen, which can be repainted and updated over time. 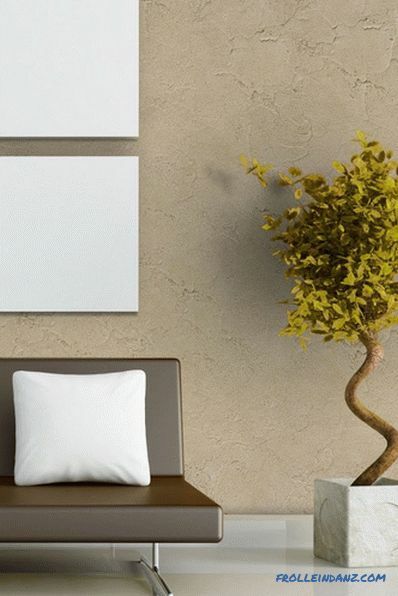 Decorative plaster in the interior of the living room can be used as the main finishing material or in combination with wallpaper, wooden or stone panels. In a living room in a classic style, not only walls, but also a ceiling with stucco elements can be plastered. In order to visually increase the area of ​​a small room, it is better to choose a light shade for decoration with a good light reflecting ability. 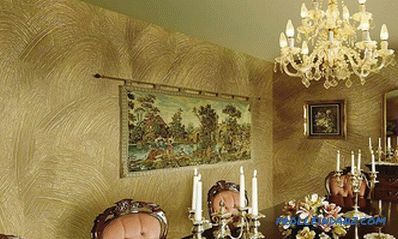 For elegant and elegant interiors, Venetian plaster is often chosen, which gives a golden or silver glow. 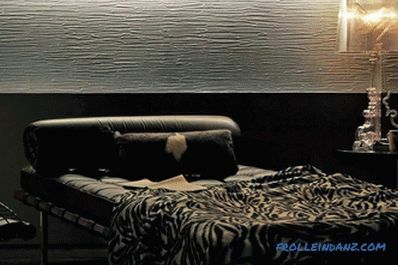 Wall decoration in the bedroom with decorative plaster is guaranteed a durable and environmentally friendly way to decorate a room. 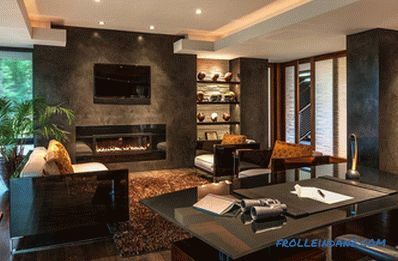 To create a cozy interior using flock plaster muted, dark shades. To create a volumetric effect on the walls or to emphasize architectural elements choose a mixture with large fractions. In order for the coating to last longer, for rooms with extreme climatic conditions, decorative acrylic-based putty is selected. It allows the composition to withstand fluctuations in temperature and humidity, while allowing air to pass through and is not covered with mold. This is a very important aspect, since not all types of plaster can also resist the destructive force of moisture and fungus. After the plaster has dried on the surface, it can be covered with a protective layer, paint or wax. This coating will help to preserve the appearance longer and ease the process of care. To clean the plastered wall, just walk on it with a damp cloth.